A hat is more than just a hat. It’s “an expression of black culture that embodies self-expression, dignity, identity, tradition and respect,” says the manager of the Northwest African American Museum. Deborah Riley is a no-nonsense professional who was the first black nurse in her hospital department at Vanderbilt. She’s never been afraid to speak her mind, but when it comes to Easter bonnets, she’s a bit traditional. She loves classic, broad-brimmed, vintage styles, derbies, straw hats and winter wools. For Easter this year, she is contemplating wearing a sweet and frothy candy-pink confection that makes her feel like spring has sprung. 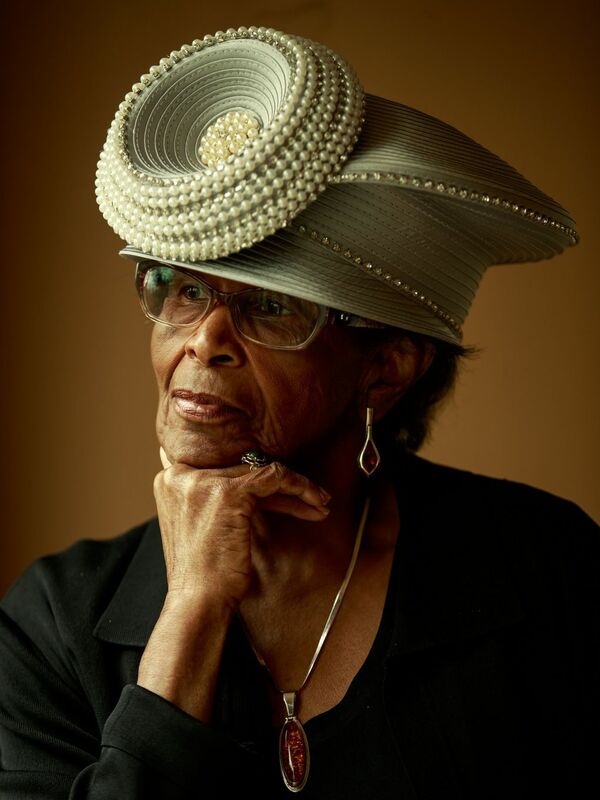 Riley is a member of the First African Methodist Episcopal Church, Seattle’s oldest black church, where she is among a coterie of women who are keeping alive a tradition of wearing elaborate hats for Sunday morning worship. The practice of wearing head coverings to church is not just about following Scripture, showing respect to the Lord or being fashionable. For African Americans, it also connects wearers to their ancestors and their community and represents endurance and triumph over poverty, hardship and sorrow, said Helen K. Thomas, marketing and communications manager of the Northwest African American Museum. Elaborate headpieces and intricate braids actually predate slavery in the Americas and can be traced back to Africa, where headwraps, such as the gele, remain popular. “When I think about these lovely, gorgeous hats, I think about the intricate braids that various African tribes and cultures have and the reverence we have for our crowns, the closest part of our bodies to God,” Thomas said. Although head coverings are used by people throughout the world, Thomas said, in American black culture a hat is more than just a hat. “It’s important to acknowledge,” she said, “that we did not always have authority over our own selves and our own bodies, clothes, hair or looks. We were not, as black women, always afforded the luxury of adorning ourselves. So for us, there is something about wearing a hat that is deep. “It’s about the sense of connection you inherently feel with your ancestors and your community,” she said. “And an expression of blackness and black culture that embodies self-expression, dignity, identity, tradition and respect,” Thomas said. “I cannot enter the sanctuary without a head covering,” said Ruth Render, 83, of Seattle. 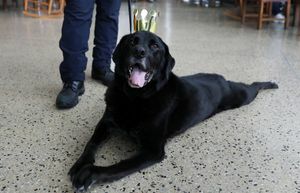 Fabienne Brooks, a retired King County chief of detectives and the first black woman on the Green River Killer Task Force, was also brought up with the tradition. She remembers being a little girl, maybe 3 or 4 years old, and wearing a hat beside her beloved grandmother, who was also sporting a chapeau. As an adult, she said, she felt close to her grandmother every time she put one on. 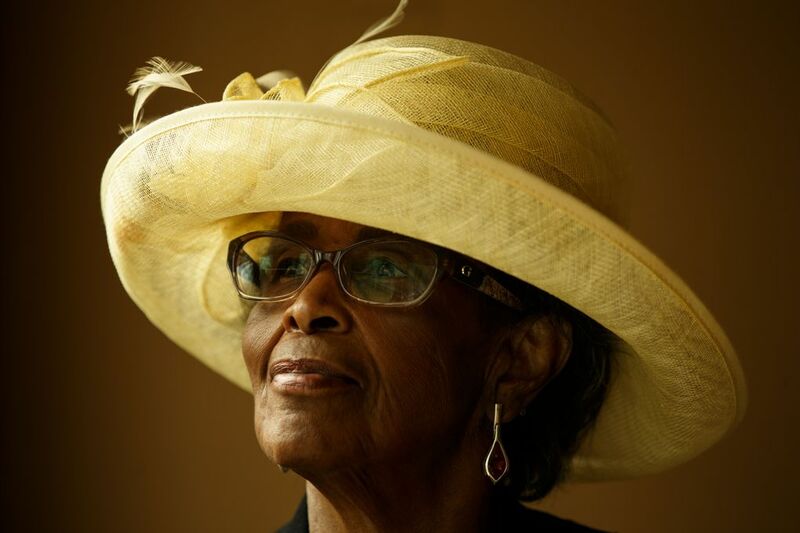 When her grandmother died, her sorrow led her to stop wearing hats and give away her collection. But it didn’t take long to realize that she missed them and to begin rebuilding her carefully curated stash. She favors strong, distinctive styles and clean lines, a medium brim and a rounded or flat dome. 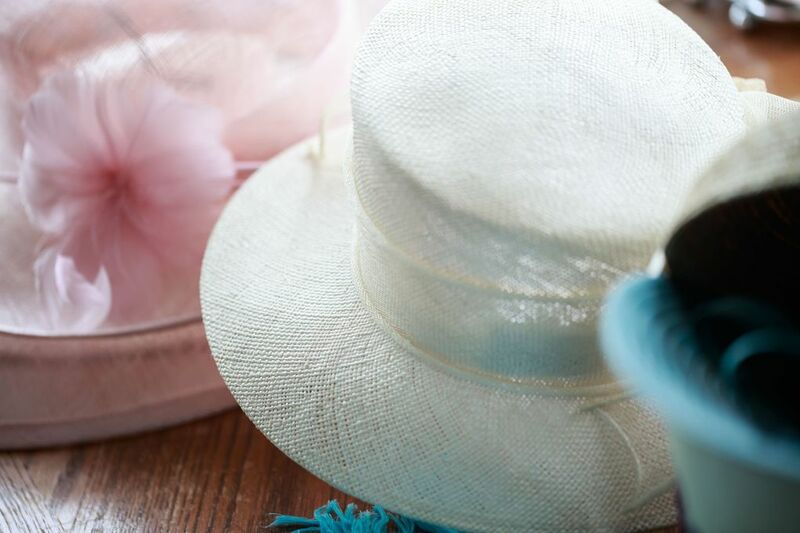 Like her friends, her hats are stored in beautiful, large, round hat boxes, stacked and labeled with the hat’s description. 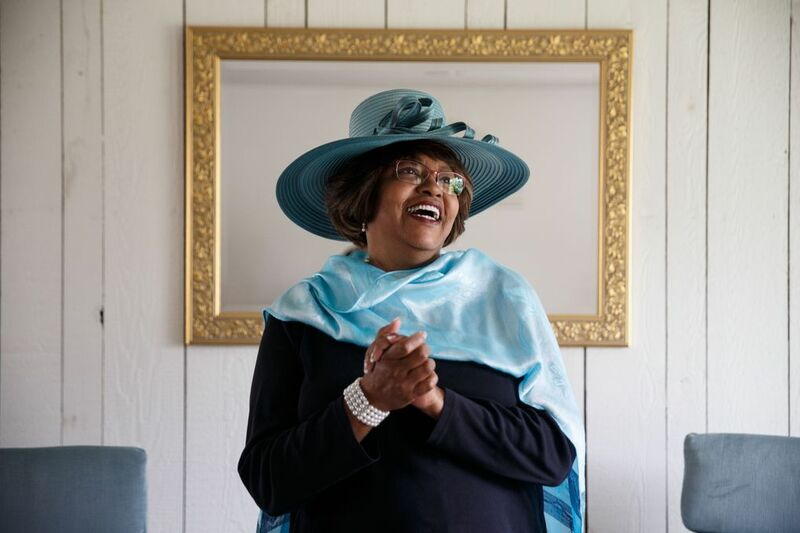 Though Brooks, of Newport Hills in Bellevue, won’t say exactly how many hats she has nor how much she typically spends on her millinery, she will say that she feels the money has been well spent. Several of her most recent purchases were made from her friend Sonia Wooten-Gill, a seamstress, designer and milliner who makes one-of-a-kind creations under her label Faye Woo Signature Collection. 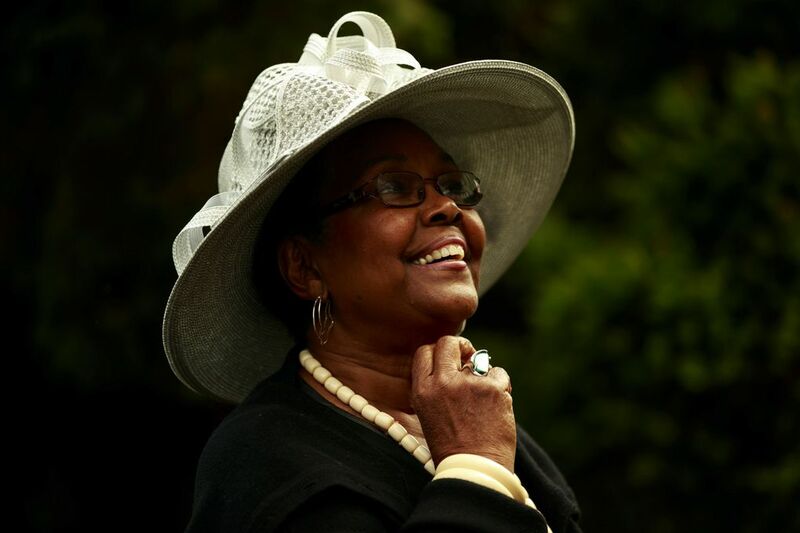 Wooten-Gill, who made a Seahawks hat that Brooks said she will wear to church on football Sundays, says that wearing hats is not only fashionable, but in Seattle, it’s downright practical. “It keeps you warm in the winter and dry in the rain,” said the 60-year-old Seattleite. 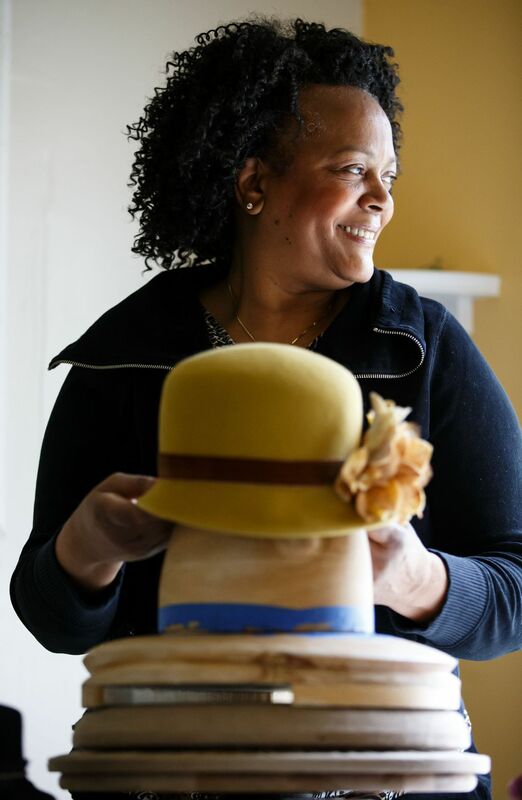 While her made-to-order creations sell for $200 and up, she said one of the beautiful aspects of hat culture is that it’s open to even the most impoverished. In fact, she said, it was a point of pride among many people without means that they were able to use their creativity, resourcefulness and determination instead of money to create a wearable work of art. 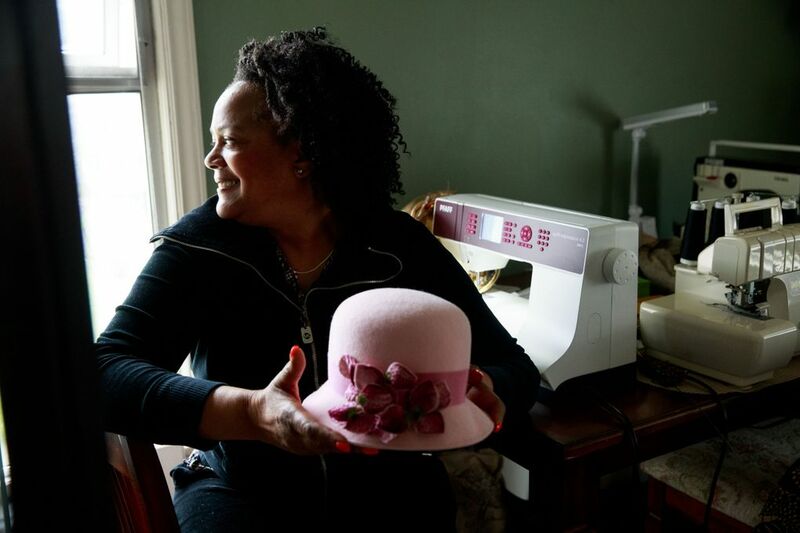 That’s exactly what motivated Orene Scott to learn the basics of hat making. “I was in my 20s and had just come out of school and I wanted to look nice, especially when I went to church,” said the 87-year-old Renton resident. But at 5-foot-10, she couldn’t afford to purchase clothes that covered her long legs and arms, so she learned to sew. And as she did, she also realized that she could use the scrap material to make hats that matched her outfits. “I started with a band and a piece of material and a bow, and it just grew from that,” said Scott, who estimated that she’s made 75 of the 100 or so hats that she owns. 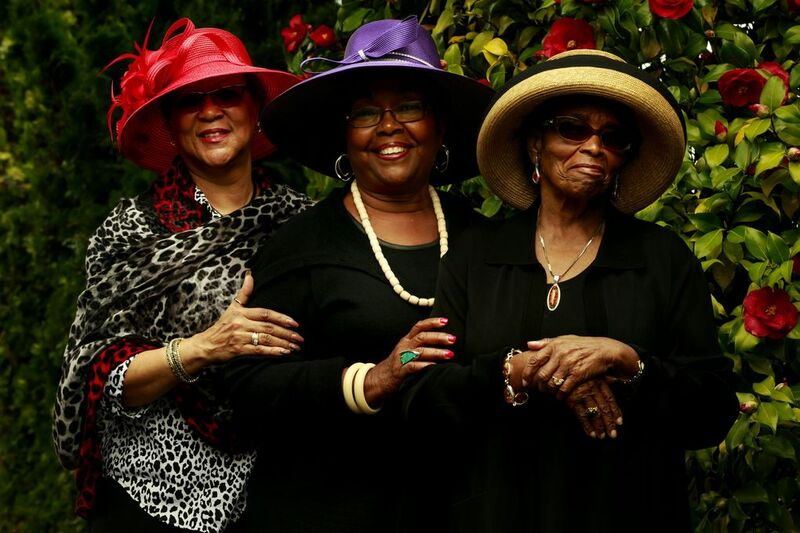 Many women plan to pass their hats down to relatives and friends. 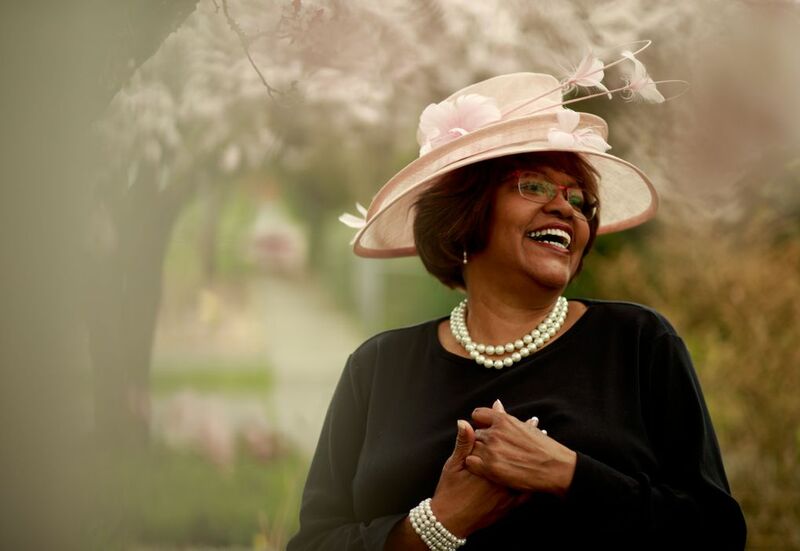 Though Brooks is only 65, she said she hopes that each of her close female friends and family members takes a hat of hers when her celebration of life is held. 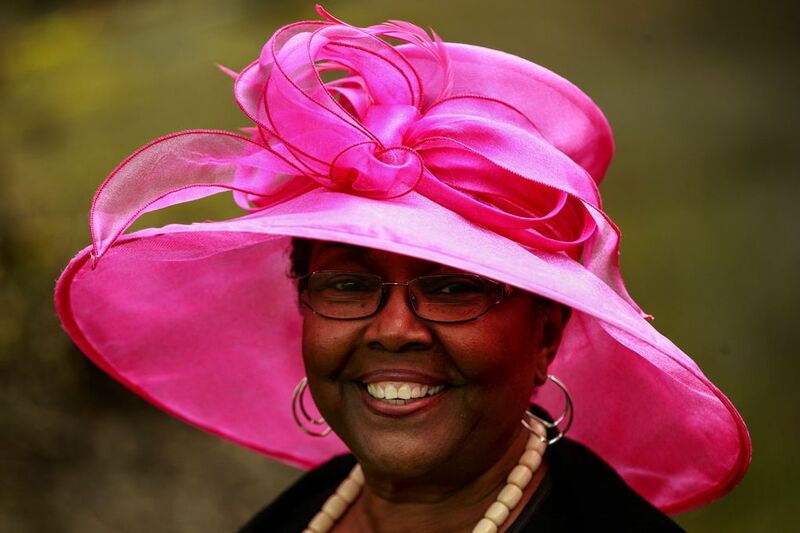 LueRachelle Brim-Atkins, 70, of Seattle, said her daughter tells her that younger women aren’t wearing hats like they used to. And when they do, it’s more likely to be for a special event such as going to the races, rather than to church. 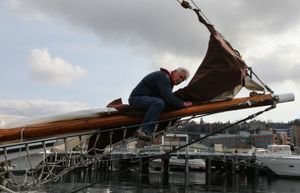 “It’s a little hard to think a tradition you enjoy could die out, but I’ve seen so many things cycle in and out, I can’t say for sure it won’t come in again,” Brim-Atkins said. These days, she said, it takes a little more work to find hats. In addition to online retailers, Brim-Atkins said hat sellers can sometimes be found in unexpected places. For example, she popped into the B and I Shopping Center in Lakewood and found some “fabulous” hats at the Hair Plus Beauty Supply store. 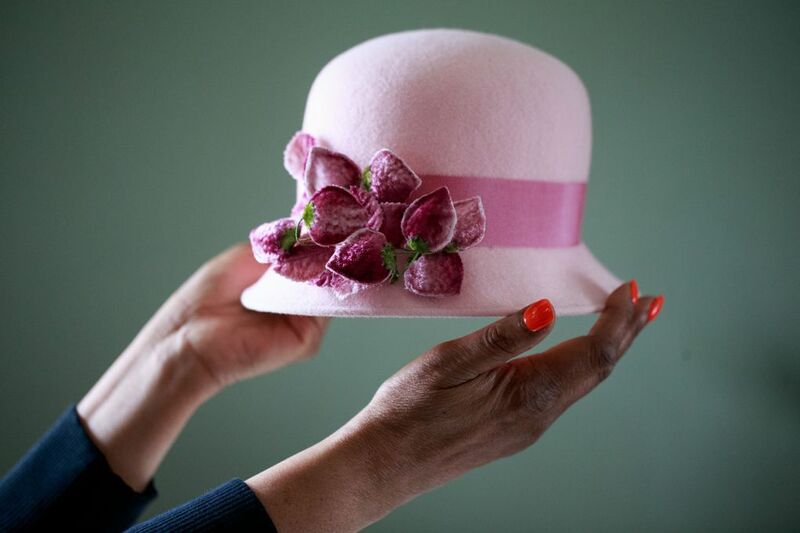 Seattle-area hat seekers can also still purchase a creation from one of the city’s most famous milliners, Henrietta Price. Price, whose landmark shop, Henrietta’s Hats and Accessories, was once located on East Madison Street in Seattle, still sells hats by appointment from her home on Seward Park Avenue South. She and her daughters also make hat “house calls” for folks who can’t easily get out, said her daughter Anita Williams. Thomas was pleased to hear that there are many people who still seek out and treasure hats. 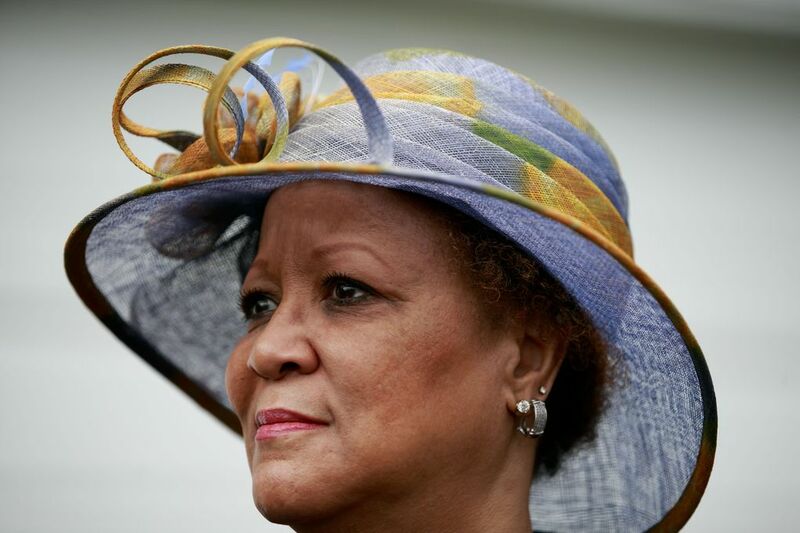 Deborah Riley’s daughter, Danielle Riley, is not a hat wearer yet. She is growing out her hair, and those big curls make it hard to find a hat that fits well. But when she looks at her mother, dressed to the nines with a beautiful showstopper on her head, she’s inspired.